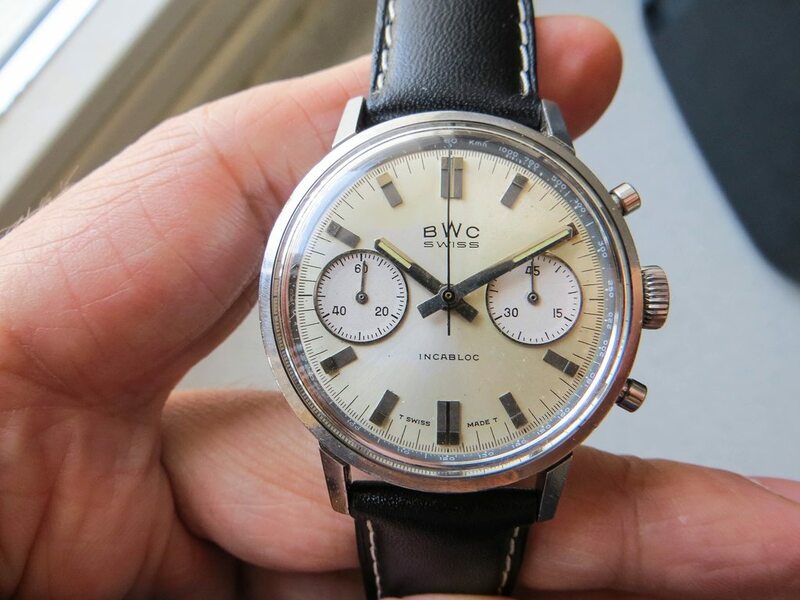 I offer my BWC chrono for sale. 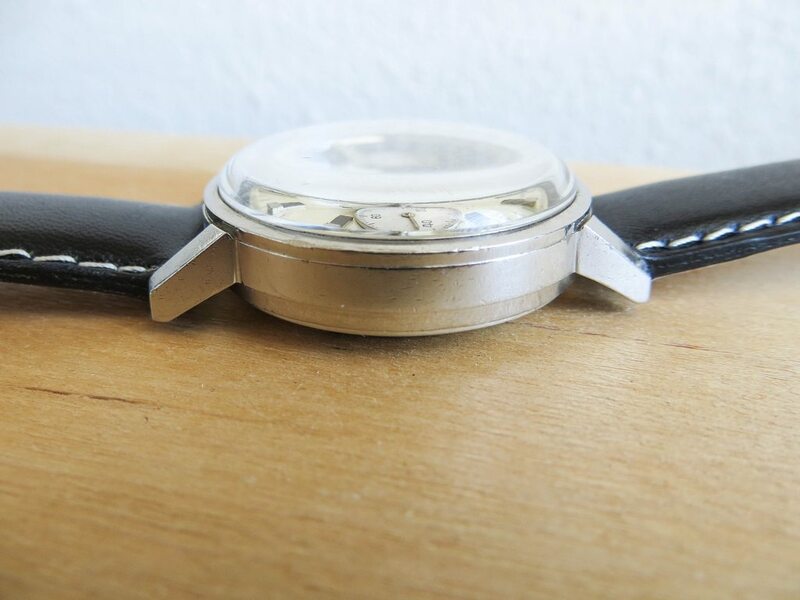 The unpolished case is 36mm without the crown and is made of stainless steel. The dial has light spotting in some places. 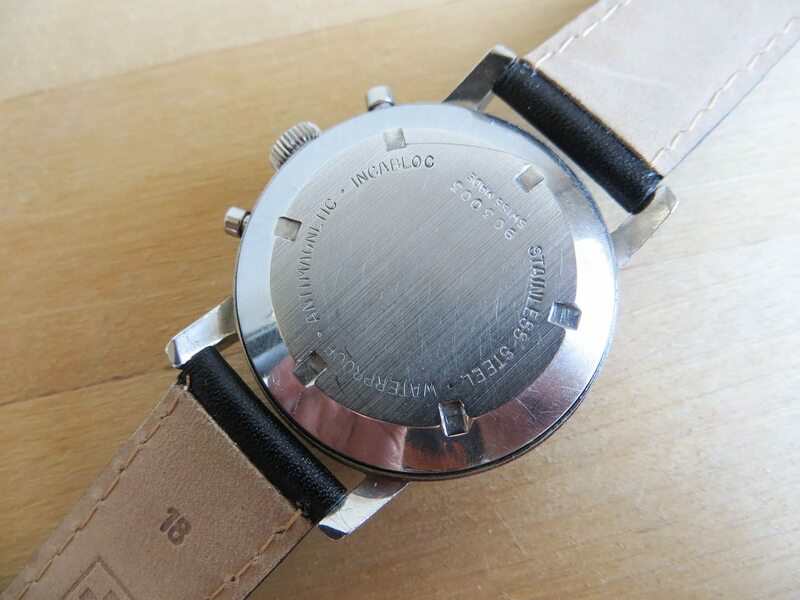 It has a landeron 248 movement which is keeping time. Chrono functions are working correct. I do not know when the watch was last serviced. 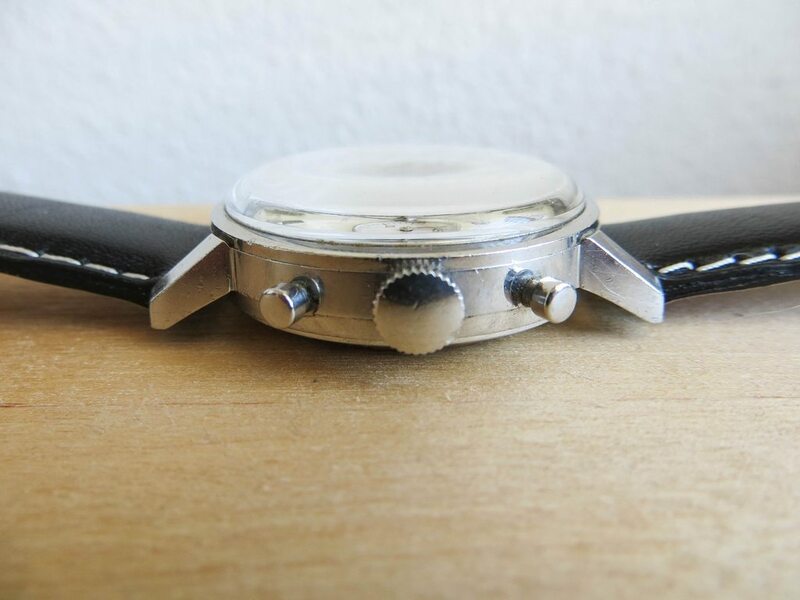 The watch comes on a new black leather strap with white stitching. Price: 600 euro. This price includes world wide shipping. Bank transfer and paypal accepted. I can provide references upon request. The watch and I are in the Netherlands.